Potato is the fourth largest crop grown in the world. Potato is the only product after maize, wheat and rice, which is highest in production. This is the most grown vegetable in the world. The reason for this is its benefits and flavor. Potatoes are eaten with great passion throughout the world. If two or three potatoes are boiled and eaten with some curd, including peel, then they work as a perfect diet. Potato is the most popular and most used vegetable. The specialty of the potato is that it gets adjusted with every vegetable. Although the reason for this misconception of potato increases obesity. People shy away from eating it. But knowing about the tremendous benefits of potatoes, you will start adding it to more and more food every day. Potato peels are mostly thrown, while eating potatoes with peels gives more strength than eating. The water in which the potatoes are boiled, do not throw the water, but make the sesame seeds from this water. There are plenty of minerals and vitamins in this water. Often people think that eating potatoes does not increase the fat but there are many qualities in the potato that you will know who will definitely want to eat it. Vitamin C, vitamin B complex, iron, calcium, manganese and phosphorus are found in large quantities in the potato. Potato also removes facial scars. Potato does not increase obesity. Lubricating the potatoes, add greasy spices, ghee, etc., which lubricates into the stomach, increases lubricating obesity. The food is profitable and safe, by boiling potatoes or roasting in hot sand or ash. Most of the potatoes are considered to be root, whereas potato is rooted without plant roots. But it is a different type of stem inside the ground, which is called stem tuber, it is filled with starch. Potato contains lots of vitamins. Mix it with sweet milk and drink it. Eating potatoes in hot ash with peels is the most beneficial or boil it in water with peels and eat it on the gram. Grind potatoes, pressing and squeezing the juice, drink it regularly, drink it four times according to a dose of one spoon, protect the children, it protects from many diseases. Swallowing raw potatoes also benefits a lot by swallowing juice. Peel half the potatoes and take out its juice and mix two teaspoons of raw milk in it, mix it well and help cotton make it face and neck. Then wash it after 20 minutes. By applying it three times a week, the difference in face will be visible. Regular use of the face and turmeric face pack, the color of the skin starts cleansing. Grab half the potatoes and add a pinch of turmeric to it and leave it for half an hour by putting it on the face. After that, clean the face with water. Make sure to have this face pack once a week. Take equal quantity of potato juice and lemon juice and mix half a teaspoon of honey and then take this pack for 10 minutes on face and neck. This will improve the skin. This facepack is very effective in reducing the swelling of the acne skin as well as improving your skin. To make this face pack, make half the potato paste without kneading and mix 3 to 4 teaspoons multani clays and some drops of rose water to make paste. Now leave this paste on your face and neck and leave it for 30 minutes. This pack makes your skin shine. Cut thin and round slices of raw potatoes and keep them in the fridge for 30 minutes, then keep those slices on the eyes for a while, which will ease the eyesight. Due to high fiber products, potatoes are easy to digest. Potato is perfect for those whose skin is dry. Make a mask by mixing potatoes in the curd. Put it on face for 20 minutes. Potato also eliminates the brightness of the face and anti-aging as well as the skin cell of the skin. Keeping the pot on the face for 10 minutes, the skin cells of the skin begin to finish. According to a report in 2011, potato helps in preventing diseases like swelling in the joints ie Earthrites. Applying raw potato juice is beneficial if the body is burnt somewhere on the body, skin is scorched with strong sunlight, there are wrinkles on the skin, or there is no skin disease. Eating roasted potatoes is filled with stomach and you avoid eating more calories. This way it is helpful in reducing weight. Its fiber also prevents weight gain. Cut the potatoes into the body after rashage, irritation and itching. This will give great relief to irritation. Hypertension patients also eat potatoes, they benefit in normalizing blood pressure. Grind potatoes and rub it on the skin. The color will be blond. Roasted potato removes old constipation and debris. Potato contains potassium salt which prevents acidity. Potato should be used for kidney stones. The stone patient can be removed only by feeding potatoes and drinking more water over and over again. Nutrients such as fiber, potato, Vitamin B6 and Vitamin C keep heart health healthy and help in preventing heart attack. Eating potatoes gives saturation. Apart from this, potato also contains several types of antioxidants which protect against free radical damage. Potato elements make the bone stronger. Raw potato juice also reduces the effects of intoxicants. Cutting the pot on the eyes by cutting the spoon and wrinkles around the eyes ends. Potatoes helps maintain the health of the players. Nutrient potatoes such as sodium and potassium flowing with sweat are very much in there. By consuming it, the players are left out of the trouble of nerves. Potato is beneficial for face color. Grinding potatoes on the skin makes the color green. If lean thin person consumes boiled potatoes and dahi and eat every day, his leanness starts to dispel. Potato contains carbohydrate in full volume which is helpful in growing our digestive power. Potato we get in the form of carbohydrate starch, part of which works like a fiber. Therefore it protects against intestinal cancer. This prevents cholesterol from freezing. By changing the potato carbohydrate and protein, glucose and amino acids, give the body energy immediately. The amount of vitamin B6 and carbohydrate in potato is very high. For this reason, due to the intake of muscle in another muscle, the nerve health of the brain remains fine. According to scientists, eating potatoes reduces depression, stroke and other brain disorders. By mixing potato juice with honey, feeding the babies is good for the children. Raw potato is very beneficial in a leukemia. There is no better solution than potatoes when sun burns in summer. Cut off the potato slices and put them in the fridge. After that put cold potato on the sun burn area. The skin will be clean, smooth and soft. Potato is a natural remedy to remove the dark circles of eyes. If you have dark circles under the eyes, take out the potato juice and put it on your eyes. Bake four potatoes and then take out their peel and add salt, chillies and eat them regularly. It cures rheumatoid arthritis. As much as the chicken chicks in the potatoes, there is 8.5 percent protein in dry potatoes. Potato protein is very powerful for old men and removing old age weakness. Potato is a natural cleanser. Mix cucumbers with potatoes and mix them on face. This will clear the face. 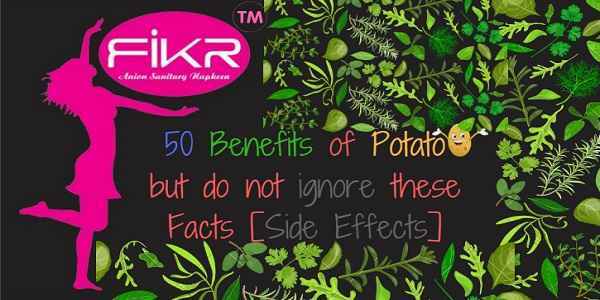 Due to having fiber and potassium in potato, it is helpful in reducing blood pressure of the body. Potatoes are very beneficial to protect against wrinkles. Grinding raw potatoes on wrinkles will end wrinkles. Potato contains vitamin C which protects the immunity of the body and also protects against cold and cough diseases..
To make new cells in the body, vitamins and proteins are needed which are present in the potato. Potatoes contain plenty of magnesium, which keeps blood pressure normal in our body. If roasted from the interiors, then roasted potatoes should be used. This removes stomach's constipation and the intestines. Potatoes are very beneficial for those who are complaining of arthritis because potato contains magnesium, calcium and vitamins, which help prevent rheumatic arthritis. According to the doctor, we must include the fiber in our food which is to soften the stool in the stomach and it is in abundance in the potato. In Kidney Stones, there is great benefit on eating potatoes only. Kidney stones and sands are easily removed by feeding the patient only by feeding the potato and giving it more water. The raw potato rolled on the stone and after the morning and evening mascara, it is 5 to 6 years old and the blister of 4 years becomes clean in 3 months. The red and brown potato contains flavonoids, antioxidants and vitamin A, which protects us from various types of cancers. Inflammation of vitamin C, vitamin B6, potassium, and other mineral digestive system decreases. By drinking potato juice and giving milk to children and children, they become fat. Mix honey in potato juice and drink it too. Occasionally, skin becomes blue on injury. Use grind raw potatoes at the place of blue space. Patients who have acidity (sourness) in excess of cure, sour dirt, air becomes more, roasted ash for them or roasted potatoes in the sand are very beneficial. Eating potato peeled vegetables also gives the benefit of the elements found in peels. In this way, more quantity of fibre is obtained from the potato. So eat potato-peaked vegetables. Otherwise, boil or fry the potatoes or fry it. It is also light in digestion. Potatoes are different when the properties are raw, on being cooked and after being cooked. By eating potatoes, boiling and making vegetables, there are different benefits and disadvantages of eating. Fried potatoes can increase obesity. All potato nutrients are obtained by boiling or frying the potatoes by eating it. By eating frying or making a vegetable, it reduces weight and keeps blood pressure low. Fresh potatoes, such as French fries or chips, eat the most harm. It is heavy in digestion. They can cause gas, stomachache, constipation. So do not eat fried potatoes. Vitamins C, Vitamin A and Vitamin B6 are abundant in potatoes. Potatoes contain 70-80% of water. Potatoes should be kept in a cool and dark place. This place should be dry and airy. . Potatoes should be kept in ventilated basket. If there is a bad grinding in the basket, it should be removed or else it can also spoil the other potatoes. Potatoes should never be kept in the air tight bins or pouch, they get worse. The potato should be used within four to five days. If the potatoes are kept in a dry, airy, dark place at a temperature of 7 ° C -10 ° C, then it is not bad for months. Save the potatoes with sunlight. The taste of the potato kept in the sun gets damaged on food. Cutting on potato turns black. So should be taken immediately after cutting. After cutting, lemons do not get black after putting them in water. Potatoes should not be cooked in iron or aluminium dishes. Keeping the potatoes at room temperature, the seedlings sprout from them. This sprouted part is damaged and it should be cut and cut. . Potatoes should not be kept with onions. The gas from the onion pollutes the potato. Potato is considered to be the king of vegetables in India. The first potato 'potato' in the United States of Peru, roaming the whole world, came to India and became the head of vegetables. It is very liked in India because it can be made in many seasons and in many ways. Due to the acceptance of potatoes as glycemic mixtures, potato consumption causes harm in blood sugar. This can increase the amount of insulin in the body. Due to excess of starch in potato, it increases the gas in the stomach. Regular consumption of potatoes is helpful in weight gain. The main reason for this is the preparation of potato, oil, ghee and butter. Some people also consider adding joints and inflammation to the consumption of potato. Green colour on potato arises due to sunlight which is harmful. This green colour is caused by the toxicity of solenin. Due to this poisonous substance, there may be pain in breathing, diarrhoea and muscle pain. It can also cause headache or abdominal pain. So green potatoes should not be taken or green on the potato should be cut and separated. Average nutritional value per 100 g of fresh potato tuber. Potato starts from South America, territory of Peru, Chile, Bolivia and Ecuador today. The tracks of potato purposeful development go back to 4,000 BC. The potato was acquainted with Europe amidst the XVIth century in two elective ways. The first was the Spanish follow, when around 1565 the potato was brought from Peru by Spanish caravels. The second one was the English follow – driving from Chile to England, where potato came to around 1585. Blandish tubers did not suit to contemporary gourmets' taste immediately. First country who valued them were the Irish. At the plain starting potato was an unordinary plant example and was developed fundamentally in professional flowerbeds (Ratuszniak 1992). At that point, it was viewed as a mending, decorative and plant. Mending estimations of potato were found by priests who were developing potatoes in ascetic gardens in Spain, Belgium, and afterward close Padua, Vienna and Wroclaw. It was likewise an extraordinary elaborate plant in times when gerberas and roses were obscure. The ruler of France Louis XVI showed up with a blossom of potato stuck to his tailcoat amid illustrious court balls, though the Queen Maria Antoinette was as yet staying a potato bloom into her hair toward the finish of the XVIIIth century. At that time a bunch of potato roses given to an adored lady had the same emblematic significance as seven red roses later. This plant served stylish capacities since it was developed for its blooms (Leszczyġski 2007). First contacts of Europeans with potato as a palatable plant were most certainly not effective. Green natural products, leaves and stalks were tasted. Simply following 200 years culinary estimations of underground tubers were valued, in the meantime approach to acquaint them with development was troublesome. Bitterish taste of tubers, because of a critical substance of glycoalkaloid – solanine, obstructed their advancement. In addition, the way that potato was not referenced in the Bible was a contention against its development. At first potato was a delicacy served just at illustrious and head honcho courts, frequently proportioned. In the XVIIIth century, nations connected different techniques for advancement of potato development among ranchers so as to anticipate starvation. Lord of Prussia Frederick II valued the estimations of this plant, therefore he utilized armed force to authorize workers to develop potatoes. In Russia, Tsar Peter I and after that Nicholas I, who was significantly increasingly undaunted, promoted potato development by ousting the – 165 – insubordinates to Siberia. It upgraded the eagerness to develop potatoes, and today "kartoszki" are the fundamental segment of an eating routine of generally Russians. Additionally in France individuals' doubt towards potato development was comparable, however the strategies for defeating it were unique. Louis XVI and his counselor Parmentier, a drug specialist (creator of new assortments), requested to plant potatoes in regal demesnes and different patio nurseries and to ensure trims by armed force. Watchmen were assumed not to be extremely anxious in their obligations. Seeing the yields being viewed by the gatekeepers, workers were taking them for something important. At evenings they were taking potatoes, ate them and afterward planted them on their territory. Along these lines, in the XVIIIth century potato development step by step ended up normal in the whole Europe. In a few nations, development of this plant was exceptionally quick, among others in Ireland potato turned into the principle wellspring of nourishment. Incredible potato curse (1844-1851) prompted starvation and demise of around one million of Irishmen and afterward to the mass migration of that country to the USA (Birecki 1958, Karczmarczyk 1999, Leszczyġski 2007). The potato was conveyed to Poland by King Jan III Sobieski in 1683, when he was returning from the Battle of Vienna. Potatoes were a present for ruler Maria Casimiere and after that turned into an example of illustrious herbal gardens. On a bigger scale potato development was begun no sooner than at the finish of the XVIIIth century. After some time in Poland and crosswise over Europe potato was liable to a transformation from an extravagance vegetable of magnates to staple sustenance of needy individuals. It was likewise generally used to get starch, as refining material and also feedstuff (Chotkowski 1990, Leszczyġski 1994a,2007). Along these lines the historical backdrop of potato was brimming with high points and low points. For some a long time potato has had an awful notoriety and was known as the "villain's apple". Since being developed underground, potato tubers were accepted to be noxious. It came about most likely from the way that our ancestors tasted green berries of potato which contained noxious solanine. Other time, the potato protected a huge number of individuals from danger of starvation. It had been a dish of the most prominent lords and poor workers, and along these lines it has been alluded to as: "delicacy of lords and homeless people" (Hobhouse 2001, Ratuszniak 1992, Zarzecka what's more, Baranowska 2003). Perhaps you will not know, but there are many things in your kitchen that you can use to get fitter-young skin. The best part is that the use of these things is less likely to cause any damage. Here are some similar home remedies which you can get by looking for the white, fennel and clean skin. These 52 easy steps can give you glowing and shiny skin. Nowadays, many types of cosmetic and beauty products are selling in the market claiming to increase the beauty of the face. But in these artificial cosmetics, such chemicals are usually used, due to which side effects can occur. Therefore, in this article we are going to tell about some home remedies that enhance the beauty of the face, which is completely safe to use. First of all, it is very important for you to know what are the things that make our skin lifeless and flawy. 👉Take a few drops of olive oil on your palm and slowly apply it on your face. 👉After this, wet the towels in warm water and wipe your face. Try this recipe before sleeping at night. 👉Mix one spoon glycerine and one spoon turmeric with honey and make a thick paste. 👉Put this paste on the face and wash the face with water after drying. 👉This recipe can be used once a week. 👉Mix 2 or 4 teaspoon milk and 1 ripe banana into a thick paste. 👉Leave this paste on face and throat and leave for fifteen minutes. 👉After this, wash the skin with water and gradually rub the ice on it. 👉Make a paste together with 1 spoon aloevera gel, pinch of turmeric, 1 tea spoon honey and 1 tea spoon milk. 👉Put this paste on your face and leave for twenty minutes. 👉After this wash the face with lukewarm water. 👉This pack can be applied twice a week. 👉Mix half potato juice with white liquid coming out of raw egg. 👉When the mixture is dry, wash the face with water. 👉Boil 1 tea spoon green tea in a cup of boiling water and then leave it for cooling. 👉Mix 2 tbsp brown sugar and 1 tbsp cream in the green tea boiled after cooling. 👉Put this mixture like a scrub on the face. 👉Wash the face with cold water after ten minutes. 👉This mixture can be applied once or twice a week. 👉Make a scrub by mixing 3 to 4 tbsp lemon juice and 2 tbsp sugar. 👉Slowly rub this scrub for five to ten minutes on the face slowly. 👉Finally wash the face with lukewarm water. 👉This scrub can be used once a week. 👉Make the powder by 1 cup grinding lentils, 1 quarter cup rice and 8 almonds separately or together. 👉Mix porridge and pinch of turmeric in this powder. 👉Finally add water or rose water to this mixture and make a paste. 👉Put this paste on the face and neck. It can also be applied on hands. 👉Wash the skin with water after drying the paste. 👉This paste can be applied once in ten days. 👉Combine crushed or powdered avocado and 3 to 4 drop lavender oil together to form a mixture. 👉Place this mixture on the face for fifteen to twenty minutes. This recipe can be used once or twice a week. 👉Mix 1 tbsp wheat flour, 2 tbsp sesame oil and 1 tbsp turmeric in a bowl and make a thick paste. 👉Put this paste on the face and wash the face with lukewarm water after ten minutes. 👉You are advised to apply this paste once a week. Wheat flour helps to remove facial dirt. Take a little coconut oil and put it on the entire face and neck. Try this recipe before sleeping every night. 👉Mix 1 or 2 strawberries, 1 tbsp chocolate powder , 1 tbsp honey and make a thick paste. 👉Put this paste on the face. 👉Wash the face with lukewarm water after fifteen minutes. Strawberries help maintain the essential level of moisture in our skin. 👉Take half tomato and remove the seed and separate them. 👉Make a paste by mixing 1 tbsp sandalwood powder anda pinch of turmeric in a seedless tomato piece. 👉Leave this paste on the face for fifteen minutes and then wash the face with water. 👉This paste can be applied regularly, except for one or two days. 👉Grind 2 or 3 orange peels and make powder. 👉Combine water or rose water in this powder and make paste. 👉This paste can be used once a week. 👉Use water or milk to make gram flour [ 4 tbsp ] and turmeric paste [1/2 or 1 tbsp ]. 👉Put this paste on the face and throat, let it dry and then wash the skin with water. 👉This paste can be used once or twice a week. 👉Take 1/2 cup yogurt in a bowl and add 1 or 2 tbsp lemon or orange juice to it. 👉Apply this mixture on the face and wash face with lukewarm water after ten to fifteen minutes. 👉Finally, do not forget to wash your face with cold water. 👉Make a mixture of 1 tbsp baking soda, 1 tbsp olive oil and 1/2 tbsp honey in a bowl. 👉Put this mixture on face and wash the face with water after ten to fifteen minutes. 👉You can use this mixture once a week. 👉Mix all ingredients together to make thick paste. 👉Put this paste on the face and after a while wash the face with lukewarm water. The nutrients present in the walnut remove the stenosis of the skin and make it shiny. Nut oil can also be applied to the skin instead of this paste. 👉Make a mixture together with 2 to 4 tbsp raw milk, 1 tbsp gram flour and 1 tbsp honey. 👉Apply this mixture on the face and leave for twenty minutes. 👉This recipe can be used once or twice a week. 👉Crush pieces of baked papaya and mix 1 or 2 tbsp lemon juice in it. 👉Put this paste on the face well. 👉Wash the face with water after ten minutes. 👉You are advised to apply this paste once or twice a week. 👉Soak the little saffron in 1 or 2 tbsp honey for a few minutes. 👉Place the saffron beside honey on your face and neck for ten minutes. 👉After this wash the skin with water. 👉This recipe can be used two to three times per week. If the stains of acne are more on the face then use curd as a rubbish. Mixing of dry turmeric with lime juice mixed with lemon juice also stains the stains. To remove dry skin stains, grate sandalwood in milk. To remove oily skin scars, mix the sandalwood juice in the rose water. This experiment is particularly beneficial for the summer. Often stomach disorders are seen in the face with stains, so drink lemonade at least once a day; face will start shining in a few weeks. Grind nutmeg with fine cloth and filter it with fine cloth. Combine the cow's raw milk in it and form a thick mixture and apply it four times a day to remove stains, acne. To erase the black stains of the face, soak rum in tomato juice and rub it on the dago. Add ten to twelve drops of lemons in tomatoes or stirring the mixture on the face and remove stains. Add salt, cumin seeds, black pepper mixed in a glass of tomato juice every morning and drink coconut water on the face. Peel the potatoes and peel the peel and rub it on the face, acne will cure. Grind nutmeg, add ten pcs of black pepper and some raw milk and make a paste and put it on the face. Wash the face after two hours. Rubbing lemon pieces or rubbing them with lemon in the lemon on the skin where they are bubbling. From this the spots will become light and the skin will get shiny. Grate the soft leaves of lentil and banyan tree and grate it or grind cinnamon and mix it with milk cream. Wash the face with lukewarm water of tea and after that massage with almond rash, the skin of the face and eyes are removed from the skin. Soak soya bean for 12 hours, then grind it and leave it on one day and apply it on one day and after half an hour wash it with lukewarm water. Mix one spoon of onion juice, one teaspoon multani clay and one teaspoon of honey and mix them all on the face. The scars of the face will be removed. By applying potato juice and lemon juice in the amount of volume, after washing it after half an hour, the facial scars of the face are wiped away. To maintain skin glow and keep the skin healthy, it is important not only cream and home remedies but good and healthy diet. Always remember that the effects of what you eat appear on your body and face. Therefore, it is important that you consume foods that contain nutrients such as vitamins, minerals and proteins. Do not eat too much oil, such as fries, chips, pizza, burgers etc. Do not eat too much salt or need more sweet. Do not eat too much tea or coffee. Put a habit of eating on time. Be sure to sleep time. Do yoga or exercise daily. Wash the face regularly at least twice daily. Avoid making too much make-up. Do not forget to put sunscreen on the day out. Keep the face covered with scarf or scarf in places of dust or pollution. Try to stay away from stress. Drink plenty of water every day so that your skin remains hydrated and its brightness remains intact. Although all the above mentioned home remedies use natural ingredients, but do not forget to check allergies before trying any prescription. If you feel slight irritation or itching on examining allergies, then do not use that prescription. 👉Most people complain of hand and foot and skin rigidity in this season. Using almond oil in such a way would be very beneficial. Before bedtime, put almond oil on the face and hands and feet. Where the stains are removed with almond oil, the skin becomes soft too. 👉If you feel that the glow of your face is lost somewhere then do not need to panic. Mix honey in the milk powder present in the house. Leave it on the face for some time and leave it clean when it gets dry. Using this mixture twice a week will make the face glow. 👉In winter, lips need special care. For this, mix lemon juice, glycerin and rose water and prepare a mixture. Applying this mixture before sleeping on a daily basis, while the lips become soft, pink is also there. 👉Sometimes due to external factors, dark circles come under the eyes. Nothing better than cucumbers to remove these dark circles. Cut thin pieces of cucumber and keep it on the eyes. This will give the eyes coolness and dark circles will also be removed.